Imagine throwing a dinner party and the dishes from the main course are cleaned in the time it takes to serve dessert. A quick 20 min programme with the SpeedWash function will do your dishes in only 15 minutes. Perfect for handling the volume of dishes created by having multiple guests in the house. 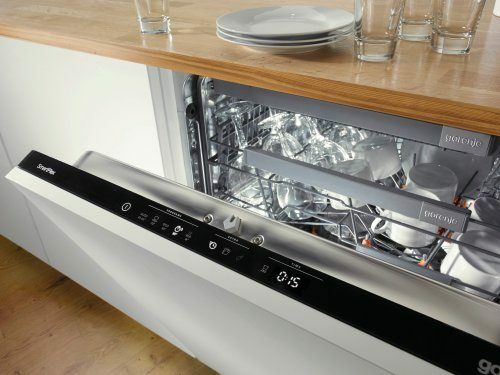 After the washing cycle, the dishwasher door automatically opens just slightly to let out the excess steam. This allows fresh air to reach the crockery so the washed items, like plastic dishes, dry completely. Excellent for quick drying with low energy consumption. Everyone is familiar with the bad smell that comes from a half loaded dishwasher that has been loading for a few days. The advanced IonTech technology built in Gorenje dishwashers operates on the principle of the natural process of ionization, which naturally eliminates odors and keeps your dishwasher fresh, even when it is full of dirty dishes. The new powerful brushless Inverter PowerDrive motor with speed regulation assures high performance with a notably quieter function, low energy consumption and a longer lifespan. The new Gorenje dishwashers are inspired by modern lifestyle. Flexible enough to tackle any task, they were created with dynamics of everyday life in mind. They adapt completely to your every need and offer a variety of functions as well as fully adjustable and customizable interior. The abundance of features will give you time to enjoy the more important things in life. 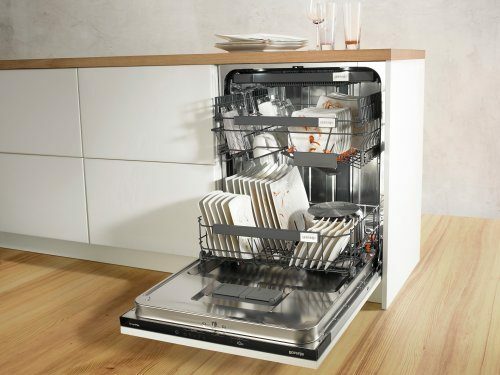 Navigating your dishwasher has never been easier. All the controls are located at an ergonomic position with a straightforward left-to-right logic of operation. 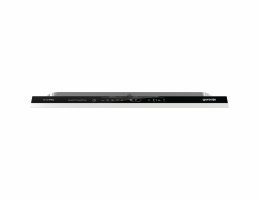 While all models excel with the white LED display, some of the more advanced models are also enriched with touch control. Just one touch is enough to start the dishwashing process. The baskets are equipped with highlighted movable elements and a customizable basket layout for easy loading. The truly simple three level basket adjustment system allows you to fit even the biggest pots and plates. The plate rack in the lower basket can be easily folded to allow more space for larger items. Cutlery can be perfectly organized on a special tray. The cutlery pieces are positioned separately so that they do not scratch and can dry out perfectly. Every detail is carefully designed so that the handling is as easy as possible. Sometimes all you need is to give the glassware a light rinse, on other occasions your dishwasher is full of heavy dishes left over from Sunday lunch. The advanced sensor technology will always adjust your dishwashing programme to clean dishes perfectly with optimized water and energy consumption. You do not need special programmes for glass or intensive cleaning – the single AutoProgramme will adapt to all your needs. This option prolonges washing time and increases temperature for 5°C which in combination with intensive programme enables temperature of 75°C, which eliminates most of bacteria. The program that mimics the sterilization process is made for families with babies, for cleaning baby utensils and bottles. 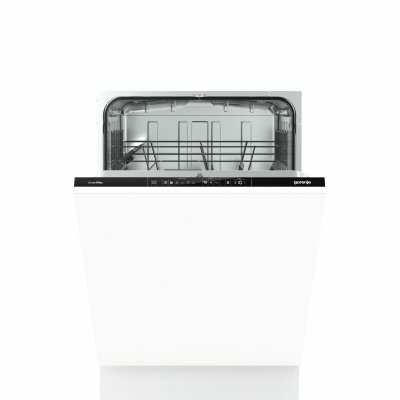 With optimizing all stages of dishwashing cycle, SmartFlex dishwashers can do the job in just one and half hour. That means you can get a full load of dirty dishes perfectly clean and dry much faster than doing it by hand while using much less water and energy. The special sliding door mechanism allows for mounting the dishwasher in any type of kitchen cabinet, no matter what the required decorative door length or the kickplate style is. 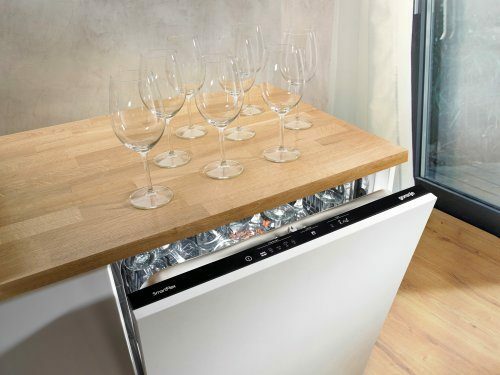 In addition, the built-in anti-syphon enables installing of the dishwasher at an ergonomic height. With no gaps under the door! The special LED lamp installed on the lower part of the dishwasher door constantly indicates the current stage of the dishwashing program. That way you always know whether dishwasher is working or if the washing cycle is over. 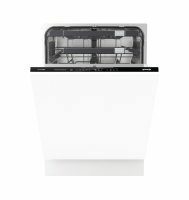 SmartFlex dishwasher with a height of 86 cm is a perfect match for the kitchens with worktop height adjusted to the users. Impressive 56cm fully inox tub, one of the largest on the market, holds enough space for all your needs. 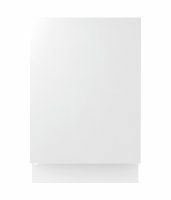 Even 35 cm plates on XXL and 31 cm on standard size dishwashers! 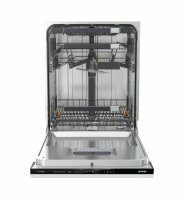 With the AquaStop safety feature, the dishwasher can be safely left to operate at night as well as in your absence. In case of a leakage or flooding, AquaStop automatically cuts off the water supply while the pump siphons the residual water out of the dishwasher basin. AquaStop remains fully functional over the lifespan of the appliance. Gorenje dishwashers can also be connected to hot water (max. 70 °C) instead of cold. Choosing a hot water connection cuts programme times and reduces the dishwasher's electricity consumption. An environmentally and budget-friendly solution for your family. The rinsing system together with automatic filter clogging prevention ensures the filter will operate without faults and require significantly less cleaning.